02/06/2018 – Simply Reviews is the global online tech media that pride themselves on cutting through all the hype to bring back the truth about any product and service for everyone! 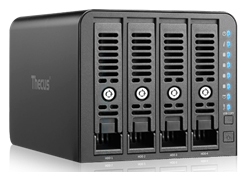 They recently turned their attention to Thecus’ budget-friendly 4-bay NAS, the N4350. Thanks to Dave Mitchell and the whole team at Simply Reviews for this review.